Looking for california king size bed dimensions? Check out the difference between king vs california king vs eastern king bed widths and measurements. Are you shopping for a new mattress, but confused by the different king size bed dimensions at the mattress store? Finding the perfect bed size for your bedroom and lifestyle is not a decision you should take lightly. Most likely it’s a purchase you will live with for quite some time. According to sleep outfitters the average lifespan of a mattress is between 7 to 10 years. This means you could be spending over 30,000 hours of sleep time during the duration of your next mattresses stay in your room. 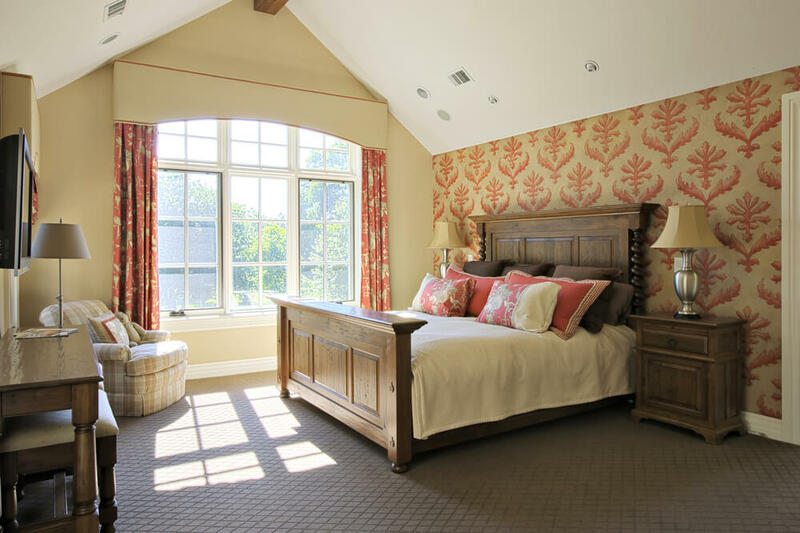 Because of the larger dimensions of a king size bed, the most common room for this bed size is in a master bedroom. It’s not typical for homeowners to place an oversized bed in a guest room, instead, save some money and opt for the queen or full. The king size bed has its roots in royalty, so it makes perfect sense that when people think of large beds they tend to think of luxury. Kings throughout history have been known to have elaborate bed chambers and large beds. In 1590, the first recorded oversized bed was developed in Ware England. This enormous bed was 10 feet by 11 feet and could hold up to 15 people. Many history buffs believe this was the first precursor to the modern day king size bed. It wasn’t until 1960 that a bed manufacturer out of Southern California started to develop and market the extra large beds for celebrity mansions. A few years later the beds were marketed to the masses and this is where they got their current name. You many have done some research and found, that there are 3 king bed dimensions to choose from. Spoiler: an eastern king bed and the size of a king bed are one and the same. So, this really leaves us with 2 king size mattress dimensions to choose from, the king vs California king. People tend to get confused over king size bed measurements all the time. So, we are answering all your questions about California king vs king mattress dimensions, sizes, widths, and measurements. Let’s first look at all bed sizes to give us an idea what our options are. Next, we will discuss which of these types of beds will be the best decision for your bedroom. The mattress sizing chart below shows the difference from a double bed vs full all with way up to a cal king size bed. King size bed dimensions are 76 inches wide by approximately 80 inches long. Most people looking for a mattress size that has some extra width will prefer the dimensions of king size bed. This is also a great size if you are not too tall (6 feet 2 inches and under), and enjoy having animals or children sharing the mattress with you. 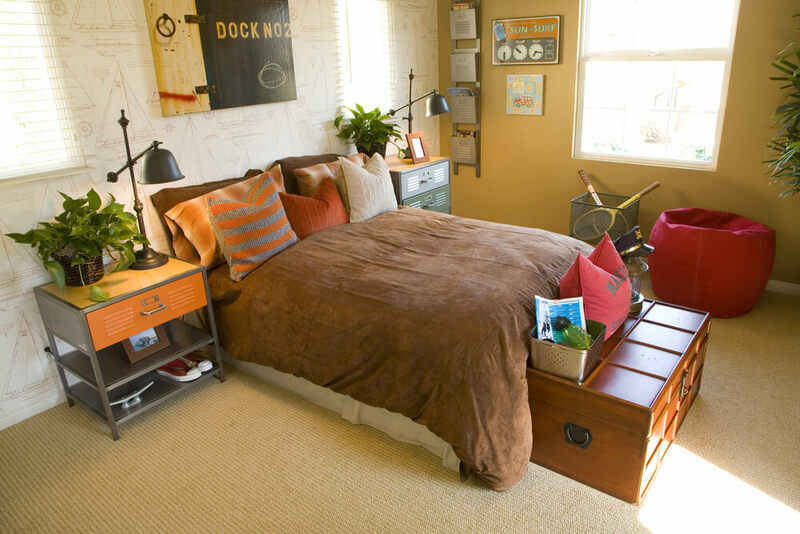 Because of its size, king beds typically take 2 box springs for the base of the bed. Cal king dimensions are 72 inches wide by approximately 84 inches long. Almost the exact opposite of the king bed dimensions. 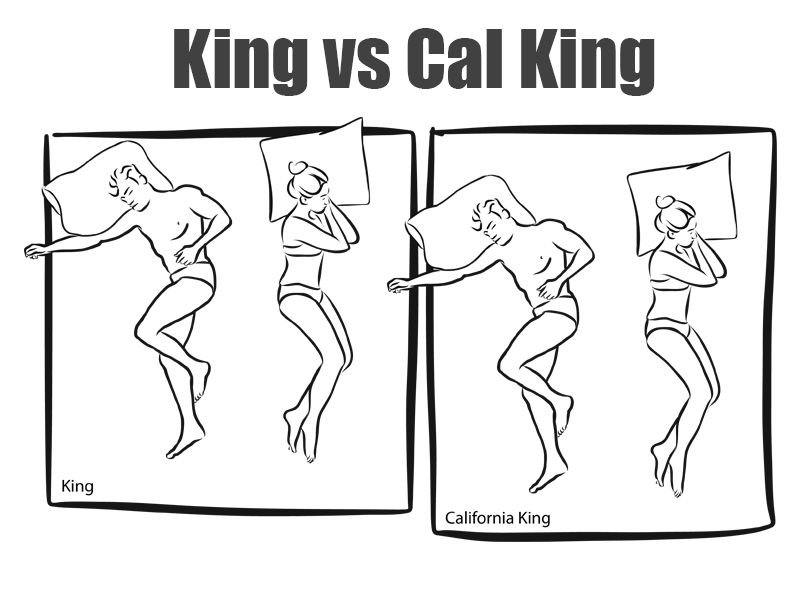 A cal king bed is 4 inches longer than the standard king. It also happens to be 4 inches narrower as well. You will want to keep this in mind when weighing out what bed will fit your lifestyle the best. 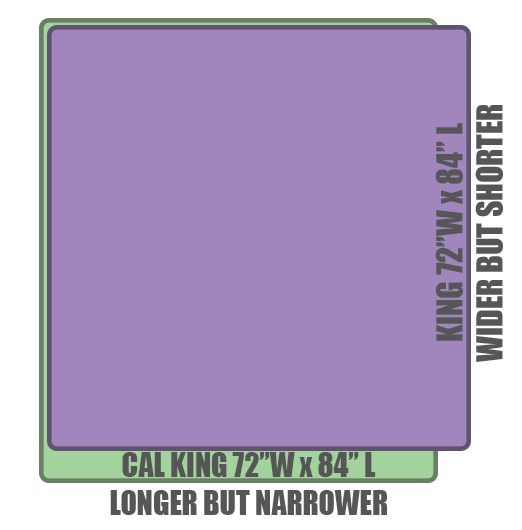 One of the biggest misconceptions about a california king vs king size bed is that the cal king dimensions are much larger that the king size bed measurements. This is not really is false. 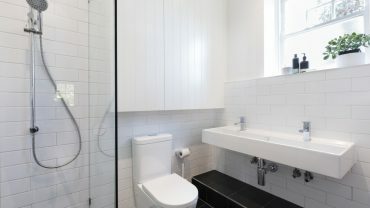 By square footage, a king vs californa king is the same. 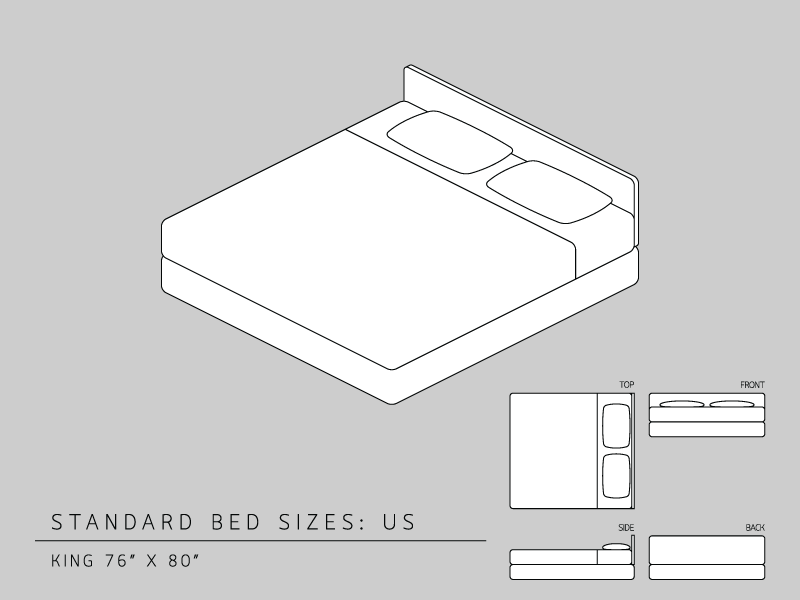 The difference is how 4 inches is used in the overall bed measurements. A king has an additional 4 inches of width that is a great option if neither of the sleepers are taller the 6 foot 2 inches. 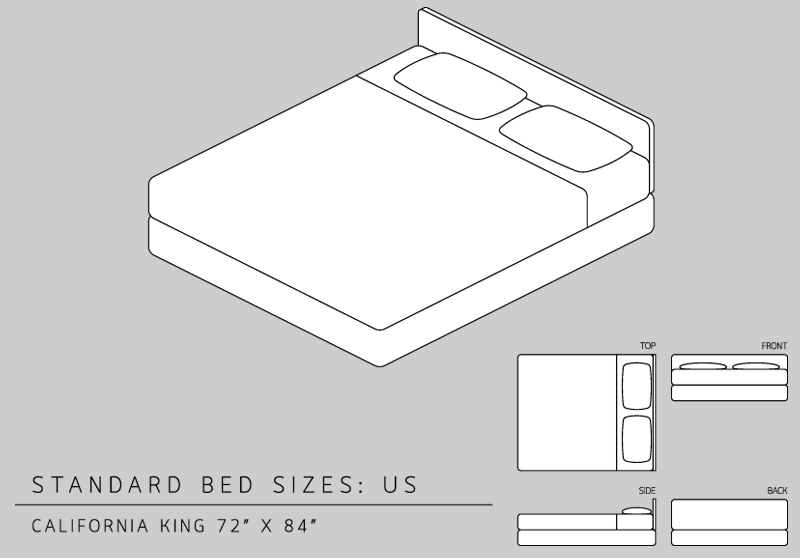 If someone that uses the bed is taller, the cal king dimensions will most likely be the best option for them. So the big takeaway for a california king vs king, is that if you want a longer bed the dimensions of a california king is without a doubt the best choice. On the other hand, if you are not above average height, you will most likely benefit from the extra width of the king size bed dimensions. Another factor that should be thought thru is the length and width of the bedroom you are planning on placing the oversized bed in. The best thing for you to do is to get out the old fashioned tape measure and make sure a larger bed is going to fit comfortably in your room.